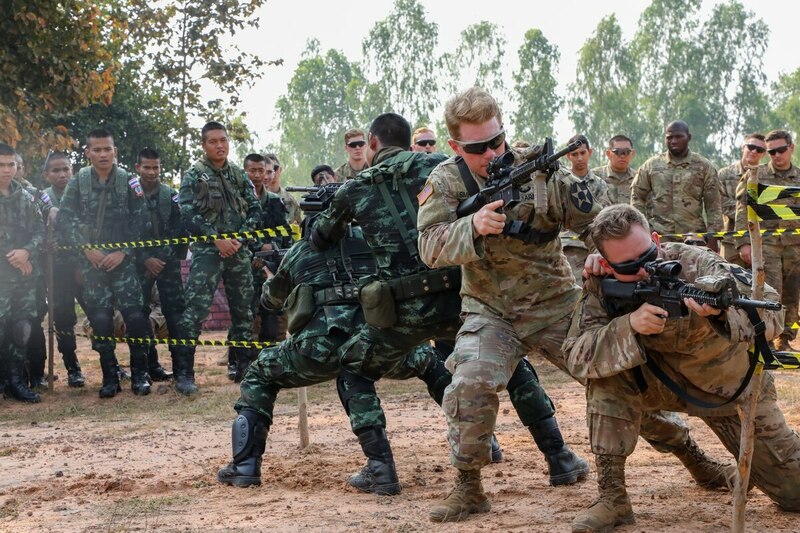 The goal is to deepen tactical and operational understanding between U.S. and partner forces. In 2018, the Indiana Army National Guard’s 76th Infantry Brigade Combat Team was the first Guard unit to lead a Pathways exercise, spending three months from July to September, but with most soldiers spending two to three-week deployments in theater, due to Guard status. The new version of Pathways has units staying in one country for longer stretches, such as this summer, when soldiers will spend four months in the Philippines doing training, Brown said. That will extend to a six-month rotation next year, he added. The Multi-Domain Task Force conducted its first series of real-world experiments, focused mostly on targeting, fires and communications across multiple services this past summer in the Pacific. The program will move to Europe this year for its second on-the-ground testing phase, he said. Neither Brown nor McConnville identified which units would be the first brigades to deploy as part of the additional force. They also did not share when that would begin. This increased deployment announcement comes as the Army has spent the past three years deploying a full armored brigade combat team to Europe in what are known as “heel-to-toe” rotations. Those began to fill gaps when the Army drew down its armored presence in Europe during budget cuts eight years ago. Those include nine-month deployments that overlap units so there is a continued footprint by armored units in U.S. Army Europe.